It’s impossible to guess from the outside that Mason’s Phoenician Taverna is a special place. Once inside, though, there is a sense of being enveloped—by the open kitchen and by the warm hospitality of the owner, Wassim Matar, who will likely make an appearance at your table. To eat like a native, get lots of little plates and share. The baba ghanoush, smoky and creamy, is astoundingly good. Those who choose less familiar spreads like the muhammara, made from walnuts, red peppers, and pomegranate molasses, will also be richly rewarded. 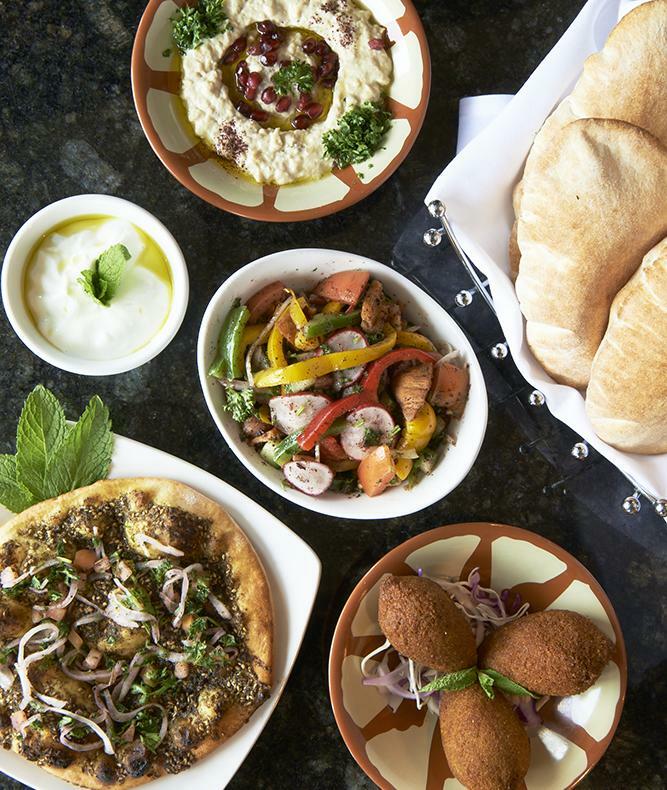 Whether you’re partial to standbys like falafel or tabbouleh, or willing to venture out a bit (go ahead, try the tiny pine nut and lamb stuffed sausages called maanek), everything is reliably excellent. And with freshly made pita bread reappearing at the table like a magical maternal encouragement to eat just a little more, it will be hard to stop. The chef, Hassib Alouie, is originally from Lebanon, but apparently had to be lured from Washington, D.C., to work at the restaurant. Matar was adamant. The reason? The way he cooks, Matar says, is “so similar to my mother.” If you don’t happen to have a tireless and generous Lebanese mama at home, be very grateful for Phoenician Taverna.